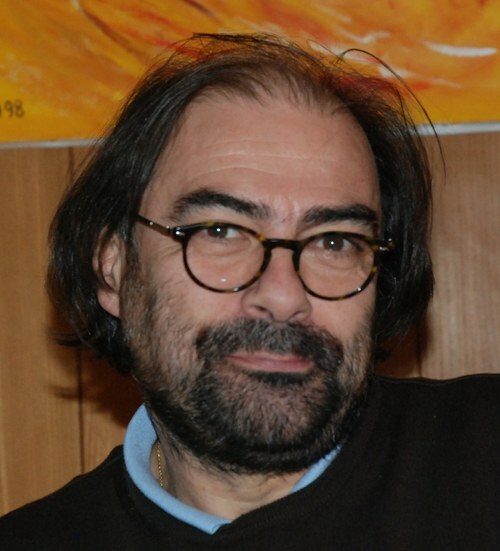 Neurologist Dr Jacques Le Houezec is the Honorary Lecturer, UK Centre for Tobacco Control Studies, University of Nottingham, England, a founder member of The Society for Research on Nicotine and Tobacco and manager of treatobacco.net. You can find him blogging at Le Blog de Jacques Le Houzeq. JD: One of most fascinating possibilities to emerge recently is the suggestion that nicotine on it’s own may not be as addictive as cigarettes. While I’m aware we probably need more evidence of this, are you of the opinion that nicotine on its own could be less addictive than smoking? JLH: According to some evidence from surveys of e-cig users (Farsalinos et al., Dawkins et al.) it seems that vapers feel less dependent from e-cig than they used to be from smoking. With time, they tend to use lower levels of nicotine concentration in the e-liquid they use, and they rate themselves as less addicted on dependence scales. This could be supported by a recent study in rats, showing that total tobacco extract, particularly when extracted from roll-your-own tobacco (more than cigarette tobacco) seems more addictive in rat self-administering it than pure nicotine. JD: Has nicotine’s capacity to create addiction been tested in a clinical trial, and if so what were the results? JLH: No, this would be unethical. You cannot test this in non smokers. Except when testing for nicotine beneficial effects in some medical conditions. It has been tested in depression or Parkinson disease, and it didn’t seemed to create an appetite for nicotine in these subjects. But these studies where quite small in terms of number of subjects involved, so it is not sufficient to call it an evidence. JD: If so, what other ingredients in a cigarette/aspects of smoking could contribute towards addiction? JLH: We know that other substances in tobacco smoke (e.g. MAOI which have antidepressive effects) probably act in synergy with nicotine, and make it more addictive. As we can’t test lethal nicotine doses on actual people, how can we be sure about new estimates? JLH: Because these calculations were done by using clinical data from accidental or voluntary (suicide attempts) nicotine ingestions or administrations. The most recent case reported an ingestion of 1500 mg of nicotine with no fatal issue. To be prudent, a review paper from Bernt Mayer, an Austrian pharmacologist, stated that the actual lethal dose is at least 500 to 1000 mg.
JD: Obviously, people don’t want to experience any serious adverse effects from nicotine. How much nicotine (mg/kilo) would a tolerant user have to use before experiencing a serious adverse effect? JLH: When you inhale nicotine, with cigarettes or e-cigarettes, there is no concern of overdosing. Smokers and vapers know exactly the dose they need, and can regulate their intake on a puff by puff basis. The first symptom of overdosing is nausea, all smokers, and even adolescents who try smoking or vaping, will feel sick if they take too much nicotine, and they just stop taking it! JD: We’ve heard of people being sick after eating a cigarette. Is this due to the nicotine in the cigarette, or due to other ingredients?? JLH: Yes, mostly because of nicotine, as I just said. Nicotine triggers nausea, and vomiting centers in the nervous system. JD: There remains a perception among many people that nicotine is the cause of smoking diseases. Obviously, nicotine isn’t as bad as nicotine with tar and the carcinogens caused by smoking cigarettes, but what long term dangers does it carry, and how bad is it when compared to smoking? JLH: Nicotine itself is not causing harm, particularly in people used to it like smokers. They become rapidly tolerant to its effects. The only remaining question is what long-term effects of inhaling pure nicotine could cause. We don’t have the answer yet in humans, even if some vapers are using it for many years now. To date we have not seen any adverse effect. But we have some evidence from a study in rats, that exposed them to pure nicotine inhalation for 2 years (equivalent to a human life for a rat). The results showed no adverse effects on any organ (no carcinogenic effect, no pulmonary effects, no cardiovascular effects). The only difference noted between rats who where exposed to nicotine and control rats, was that nicotine exposed rats weighted less than control rats. This is also the case in smokers as we know, they weight less than they would weight as non smokers. JD: Anti-smoking campaigner Stanton Glatz has argued that exhaled vapour is dangerous to non-users of e-cigarettes. Can we quantify the danger of nicotine exposure from e-cigarettes to non-users? In any case, this should not be a public health concern. JLH: First of all keep it away from light an air as much as possible, because it causes nicotine to oxidise, changing its colour, but not changing its properties. Keeping it in the fridge or freezing it is fine. Nicotine is quite stable even when frozen (this is how it is done in clinical studies when someone wants to assay nicotine in the blood of subjects for example). JD: How fast is the decay rate of e-liquid, and how long is it safe to store e-liquid for? JLH: For e-liquids I would be more concerned about the flavours. They certainly degrade faster than nicotine. On current e-liquids it is stated that they can usually be used for a year. But if frozen, they certainly can be stored longer. I am confident that studies are or will be conducted soon to answer this question. JD: Old e-liquid can get a peppery taste. Is it still safe to use? JLH: This is probably due to the degradation of flavours. The pepper taste is the one of nicotine itself, if flavours are degraded, then only the taste of nicotine persists. JD: We know that e-liquid can change colour with different food flavourings, light exposures e.t.c. – sometimes going dark, and sometimes going yellow. What causes this, and is there any need for vapers to be concerned when this happens? JLH: As I said above, this is due to light and air oxidation, it could change the taste, but should not change the effects. Some flavours, particularly tobacco flavours, or chocolate or coffee, can also turn dark with time, probably for the same reasons. This should not be a concern, but I would recommend to keep them cool and away from light. JD: What, if any, benefits does nicotine have? JLH: Nicotine is a stimulant, like caffeine, it helps keeping alert. But nicotine has also other properties that we know more or less well. They are nicotine receptors everywhere in the body, including the digestive tract, but the most important are in the brain, and they interact with many neurotransmitters systems (the chemistry of the brain). It has been shown that nicotine can help in many conditions (e.g. depression, Parkinson disease, Schizophrenia…), but it has not been studied extensively, there is a clear need for more research. The main problem is that nicotine cannot be patented, it is a natural substance, so one would need to use a modified molecule, close enough to nicotine, to obtain the desired effect, and then to do clinical studies to demonstrate its effect. The pharmaceutical industry has not been very active in this domain despite some encouragements from researchers. JD: What is the difference between pharmaceutical grade, non-pharmaceutical grade nicotine and pesticide grade nicotine, and how important is it to use pharmaceutical grade nicotine? JLH: Nicotine, for whatever purpose, is always extracted from tobacco, because it is the cheapest way of getting it. Because nicotine is an alkaloid (like caffeine, cocaine, curare, etc. ), and that there is many other alkaloids in tobacco, it is difficult to obtain 100% pure nicotine. There is always a small amount of impurities, even in the best pharmaceutical grade nicotine. So, currently this is the best product that can be used, and it should be used for e-liquids to obtain the safest product as possible. JD: Is there any difference between nicotine derived from tobacco plants and those derived from other sources? JLH: No, nicotine is nicotine, wherever it comes from, but tobacco is the plant that produces it in the largest quantities. JF: As flavouring alters the ph level of nicotine, what is the most effective way of testing nicotine levels in eliquid with flavourings? 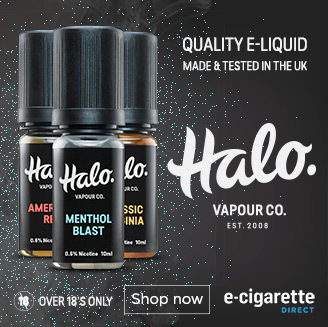 JLH: Flavourings are used in very small quantities in e-liquids, this should not alter the pH, in my opinion, but other experts may have a different view on this, I am not a chemist. JD: What metabolites of nicotine re formed within the body, after it has been metabolised. JLH: There are different metabolites, but the most important one, in quantities, is cotinine which has almost no pharmacological properties, at least in terms of addiction. Nicotine is transformed into cotinine for about 70-80%, the rest of the metabolites represent small amounts. JD: With e-cigarettes, we can’t get away from the political aspect! the UK and the EU, are trying to ban them (see The EUEcigBan). What do you think is behind these bans?. JLH: What I fear most is the lack of knowledge and the misconceptions about nicotine from the politicians, but also from some health professionals and tobacco control advocates. To me this is what is at stake here. There is a great need for education about nicotine. To download a printable PDF of this interview, please click here. Many thanks to Dr Houezec for sharing his valuable time with us! Did you get some value out of this blog post? If you did, and you think others would too, I’d really appreciate it if you shared it using one of the share buttons on this post. Are Electronic Cigarettes Really As Addictive As Nicotine? What is nicotine doing to your body? Inhaling Nicotine Doesn’t Hurt, But It Could Make You Thinner Say Researchers! An excellent and sensible note of clarity for us all and answered some of my niggly questions most ably too. Good job!!! Could you by any chance ask the good doctor about the new “scare” being that vapers are at risk from metal fume disease due to inhaling media heated up by stainless steel, chromed brass and brass? MFF or MFD usually occurs when metals are molten and takes consistent exposure on a daily basis but there is a rumour based on rumours going around that brass mixed with e-liquid is a poison, that e-liquid can “leech” the lead out of brass, the cadmium out of stainless steel and chromium finishes as I think this is where they will try and nail their colours to next in using health scares to frighten people away from e-cigs. Thanks for the comment, Ian. I’ll let a few comments build up and then ask Dr Houezeq if he is able to answer any of the questions. I noted on a certain Chinese wholesalers forum today with the release of a chromed brass clone that already there are several comments bordering on inciting hysteria about brass even though one commentator pointed out it was a battery compartment and therefore not in contact with the liquid side of it and was told he “knew nothing”. This is a great read, thank you Dr Le Houezec and James. Now, something about what I observed in my vaping behaviour. And it wasn’t easy to notice, since there’s an unconscious mechanism at work here, but eventually it dawned on me. When I used to smoke and sit at my computer, which was a hefty amount of time, I’d chain smoke. So, no matter what I did, write, read, translate, I’d be smoking one after another without even noticing it. Only when I finish work and look at the pack of cigs on the desk would I become aware of what was going on. Now since I turned vaper, that behaviour has changed. I vape when I think of vaping or when I notice a device in my vision field. But when reading or writing (ie doing something that absorbs my attention), I totally forget about e-cig and while I’m focused on that other activity I don’t feel any cravings. Back to this interview – James do I have your permission to translate it into Croatian for my blog? I’d give a link to this page, of course. I have suggested on fb and to EVUN that a print-out of this be disseminated to all our GP surgeries – would this be OK? It’s such an easy way to get the word out there and some doctors seem to be very vague on the subject. Of course! If you can give me a bit of time I might be able to get this prepared for you? Will just run mine off and suggest everyone does the same – most of us must have printers? I think the formatring will be better if we prepare a printable version – please excuae typos trying to type on phone. I will try to publicise this blog as much as possible. Dr Le Houezec is to be admired for his honest stance on this subject. It’s such a shame that so many other “exoerts” are obviously in the pockets of the big “Pharma” companies.